No reviews yet for Haddington United Kingdom Shark Life Twilight 2018. Click here to be the first! This event is open to over 16s only and will incorprate 5km of entirely off-road terrain with 20+ of obstacles to challenge all abilities. The course will be marked and marshalled throughout so you can focus on having some fun! Please expect full water body submersion as well as mud, walls, crawling, and a whole lot more! 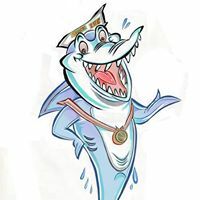 Please see our obstacle course race discount & promotion page for all the latest discounts, promos, promotions, discount codes, and coupon codes for Haddington United Kingdom Shark Life Twilight 2018. There also may be one listed at the top of this page.